The blue of the summer sky, orange leaves in fall. 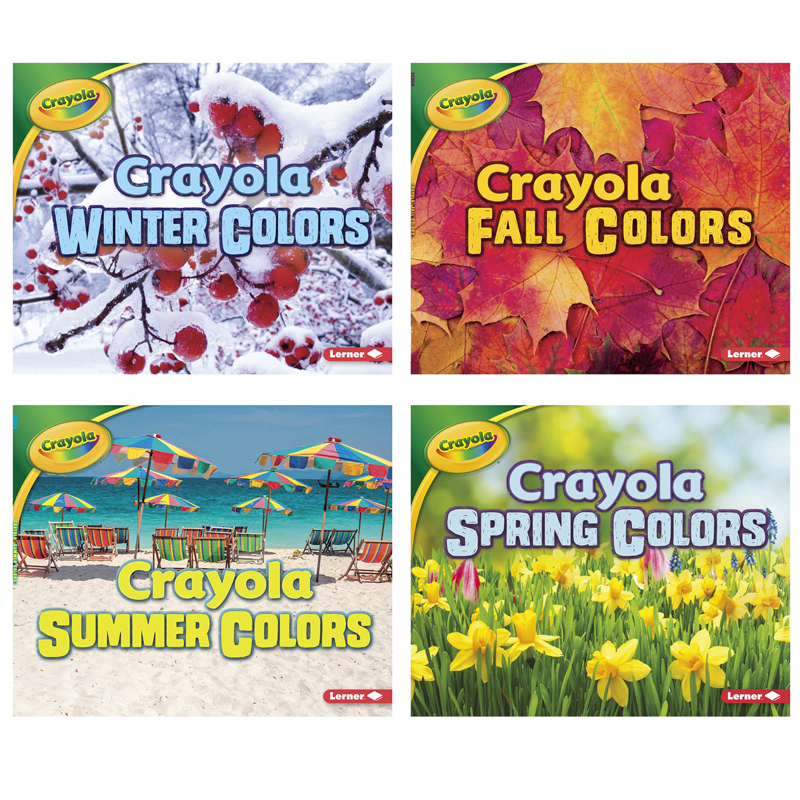 Celebrate the colors of the seasons with this charming Crayola® series. Vibrant photos and descriptive text encourage readers to notice color in the real world. Illustrations demonstrate art techniques and encourage readers to create art inspired by the seasonal colors around them. A special feature shows the Crayola® colors that can be found in the photos throughout the book. Set includes 4 books. The Crayola Seasons St Of 4 Booksslide can be found in our Holiday/seasonal product category within the Arts & Crafts.